Are you looking for a temp-to-hire position, detail oriented, and have experience with ADS? Luttrell Staffing Group in Santa Maria, CA is currently hiring a Payroll Clerk for one of our Agriculture clients in the area. If you are interested, apply today! Apply today by clicking on the link below, then contact our office at 805-928-6555. We look forward to hearing from you! Malaina was born in San Luis Obispo and raised in Santa Maria, CA. 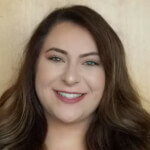 She joined the Luttrell Staffing Group team in March of 2018 after her prior employer, ABBA Employer Services, Inc., was acquired by Luttrell Staffing. In her former work as a waitress, Malaina gained a love for customer service and helping people in any way possible. She started her staffing career doing payroll and clerical work and eventually worked her way to recruitment. During her spare time, Malaina loves spending time with her husband and family, doing BBQs, and watching movies.